I always make these on the weekends. It’s a perfect mid snack for Isabelle and she can choose to eat with her curios hands or use her tiny baby fork. We add fresh or frozen berries, walnuts and maple syrup or honey. And a glass of milk for the big boy! 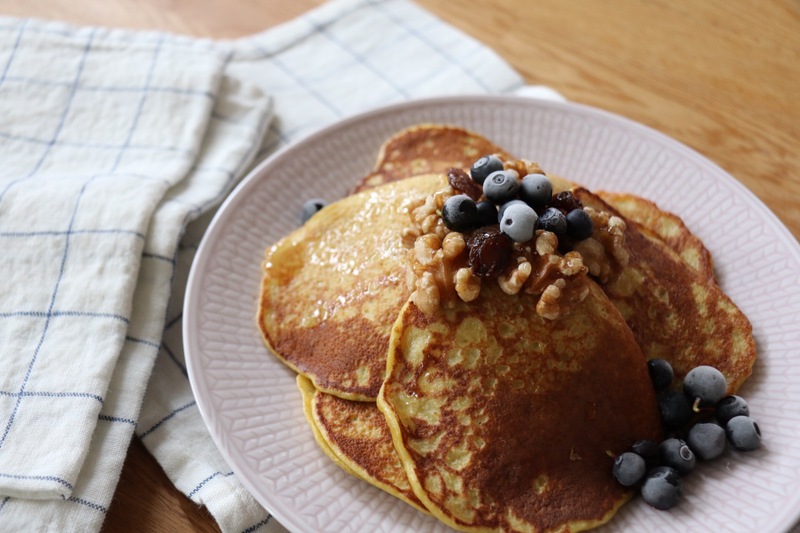 Here’s how to make these gluten-and dairy free banana pancakes, I add flour to make them thicker: Use a fork to mix two bananas with 4 eggs, add 1 dl gluten-free flour and 2 table spoons with shredded coconut and a pinch of cinnamon. Add some coconut oil in the pan, cook the pancakes on medium heat until golden brown on both sides. 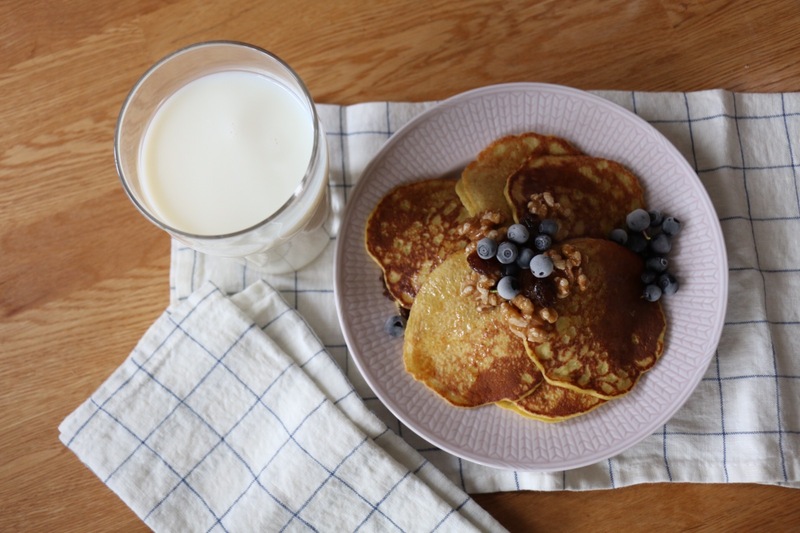 Posted in foodTagged banana pancakes, recipesBookmark the permalink.